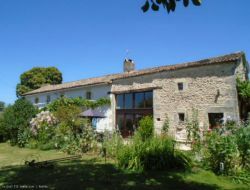 Rent of 2 holiday cottages situated on the heights of Oyré, in the peace of the countryside and 50 from an a equestrian center leisure activities. 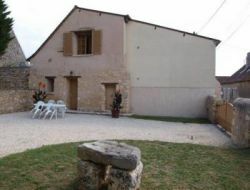 Gite completely teams with garden furniture, barbecue, a washing machine, a big swimming pool, a table of ping-pong. 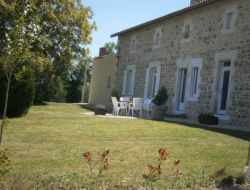 Holiday cottage located in a very quiet hamlet, just 3km from Civray with its market and all its shops; Small detached house for 2 adults, 2 to 3 children and baby with large fenced garden, heated pool, large playground with trampoline, ping-pong, swings, petanque area. Terraces, garden furniture, sunbeds, etc. Linen and towels provided and included. Possibility of table d'hôtes. 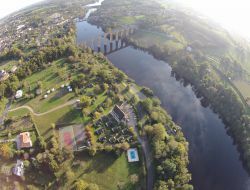 At the heart of the Valley of the Loire and its famous castles, the Cottage of the Chateau de Bournand welcomes you for a discovery and tranquillity stay or a weekend. 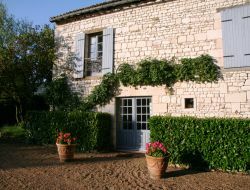 Situated in the entry of the main courtyard, the gite accommodate 6 people in a sophisticated and very cosy decoration. Park with swimming pool. Quiet and relaxing country house, near Angles sur l'Anglin city of Arts and History, located in the department of Vienne in the Aquitaine region on the borders of the provinces of Poitou, Touraine and Berry. 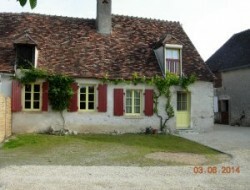 Cottage for 3 / 4 people in Vienne (Charente Poitou). We invite you to share our hospitality for a weekend or holiday. Our little hamlet is the perfect place to relax. Nestled in the woods between the forest of Groie and forest of Guerche is a quiet place, ideal for walks that suggest paths that pass nearby. 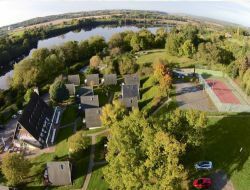 Holiday village near the Futuroscope of Poitiers and the art city of Montmorillon delicacies, Isle Jourdain invites you to discover the richness of its heritage. The Moulin Beau, bordered by the Cours de la Vienne, welcomes you in 4-5-seater chalets on the hillside. Rent in formula free management, half-board or full board. Heated outdoor pool, ping-pong, volleyball, badminton and petanque. Free outdoor parking. 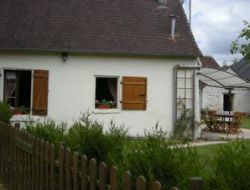 Holiday home with heated pool, for 4 people, with 2 bedrooms and garden, 45 minutes from the Futuroscope and Poitiers. Holiday village near the Futuroscope of Poitiers and the art city of Montmorillon delicacies, come and discover the rich heritage. 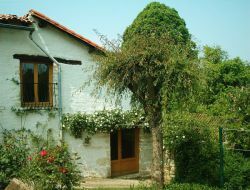 Along the Vienne river and a valley that opens onto a remarkable environment, "Le Moulin Beau" welcomes you in cottages sleeping 4-6 on the hillside. Heated pool from June to September.